Next, we want to create a player sprite to represent the player, this time we are going to have animations… two, in fact, one for idling, the other for walk/running. 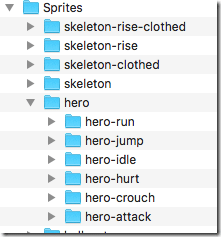 In the same archive we downloaded earlier, there are a number of sprite frames we can use for animation. 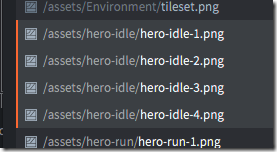 Just like earlier, copy the folders hero-run and hero-idle and drop them into the assets folder. Now we need to create another texture atlas. 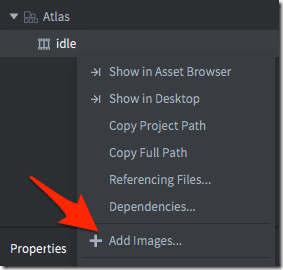 Right click the player folder in the Asset view, and select new->atlas. When prompted, name it player. 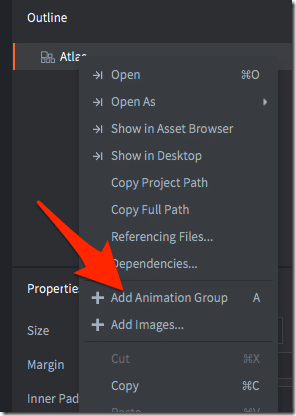 Open the newly created player.atlas and in outline select Add Animation Group. While you are there, change the Fps from 60 to the much slower 5. This is the rate our animation will play. So 5 frames per second means that the animation will change 5 times per second. Now back to player.collection. 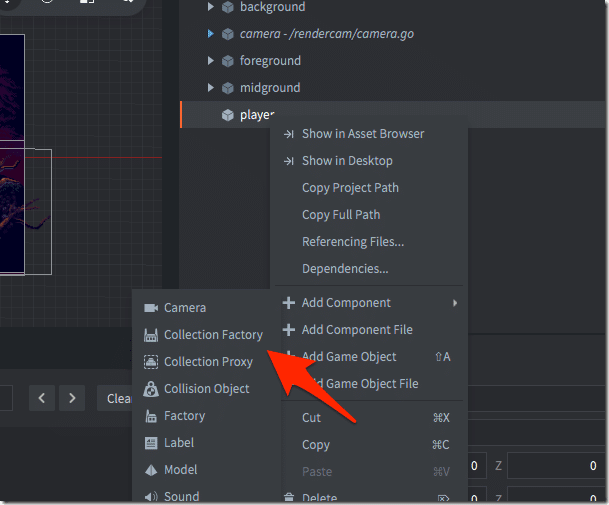 Add a game object to the collection, then add a sprite to the newly created game object. 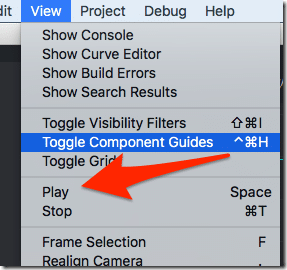 You can preview the default animation using the menu View->Play or by pressing the space bar. Looking pretty good! So… how do we put our player into the game? Well head on back over to main.collection, right click the player game object we created earlier. 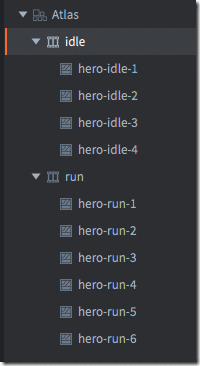 This time we select Add Component->Collection Factory. A Collection Factory is a way to programmatically create instances of a collection, just like our player collection. In the Prototype section, select our newly created player.collection. To actually create an instance of our player collection, we are going to have to finally create a script. Don’t worry, it’s easy. This code simply creates an instance of our collection factory (by name, this value matches the value in id for our factory). Now when the player game object is created in main, the script will fire, create our player object in the game. You can now position the player in the view by selecting and positioning the player game object. Unfortunately, you won’t see the player until run. 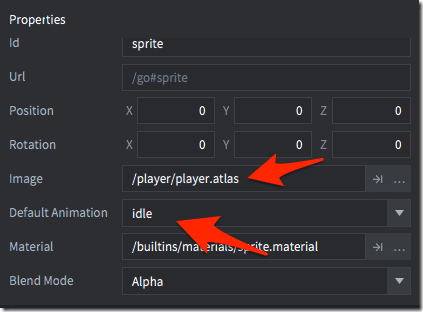 Next let’s add some input ability to our newly created player.